What a lot of stories and mysteries still lie buried in Pompeii at the foot of Vesuvius! 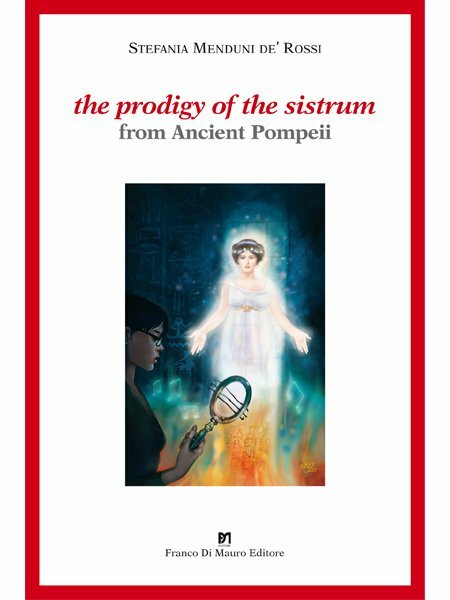 The discovery of a sistrum, the instrument sacred to the goddess Isis, brings to light the ancient secret of a young priestess who lived two thousand years ago, in a gripping tale of love and passion, purity and redemption. As in a play of mirrors, the characters move between a world that was suffocated and a civilization that is alive and breathing. Constantly challenged by strong, conflicting sentiments, the reader is initiated into daily life in ancient Pompeii in its most intimate aspects: from material possessions to spiritual realisation, from pagan mysteries to sacred rites, from women’s make up and dress to the food you would find at a banquet…and how these are reflected in modern day Pompeii. Culminating in an extraordinary finale. “An original narrative which weaves a substantial fable out of a mystical intuition and in which Time, mere illusion, becomes Eternity, provided with contents and colours”. Pagg. 128, f.to 14x21 cm, legatura in brossura.